A Russian-Swedish scientific expedition started working 120 years ago on the island of Spitsbergen, which at the time was a no man’s land. Hundreds of people took part in that expedition, including scientists, land-surveyors, cartographers, seamen, soldiers, officers, and the civilian Pomors and Laplanders used as dogteam drivers. Three Russian and Swedish steamships participated in it as well, as the first ice-breaker Yermak. The expedition lasted from 1899 to 1903. Besides researching and mapping the previously unknown archipelago, the main purpose of the expedition was a high-temperature measuring of the Earth’s shape. In the first part of the 19th century the Struve Geodetic Arc was built (it is now a UNESCO Cultural Heritage site). It was a chain of 265 geodetic stations stretching for 2820 km along the 25th meridian from the North Cape in Norway to Moldavia. The work was personally financed by Russian Emperors Alexander I and Nicolas I. By that time, mankind had become matured enough to realize the dream of measuring the exact shape of planet Earth. Modern high-accuracy measurements have proven the great precision of calculations made by the Pulkovo observatory scientists who ran this project — the accuracy was correct within 2 centimeters! The most interesting item — from a scientific point of view — is that the “flattened” polar regions of the planet were not included into those measurements. 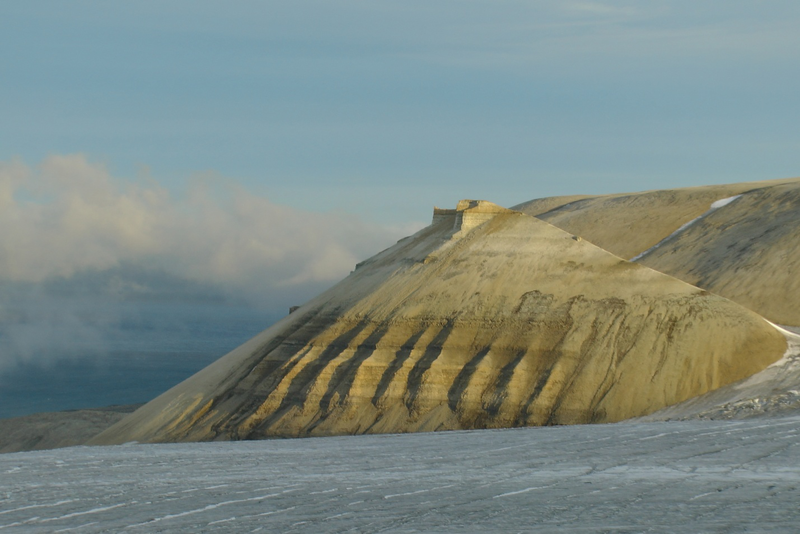 That’s when Spitsbergen came to the aid of the scientists. This archipelago is situated in high latitudes — its northernmost location is just 1000 km from the North Pole. Spitsbergen stretches for nearly 500 km from north to south. The members of the expedition had to arrange a network of geodetic stations on its peaks and capes. The members of the Russian-Swedish expedition were young and courageous. The head of them was a 43-year old geologist and paleontologist, Feodosy Chernishev. He was a member of the Academy of Sciences, and he looked like a real patriarch. His assistant was a 31-year old astronomer, Alexander Vasiliev. He might be said to be the soul and heart of the project. In Svenskesund Bay, the walls of the only extant house from a Swedish camp still display graffiti that had been made at the time. It consists of hearts and the names of girlfriends, dated 1899. 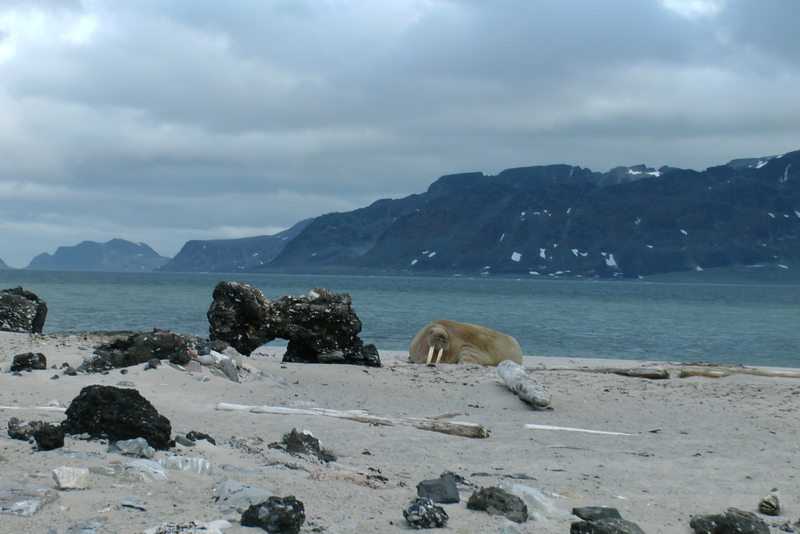 This archipelago had been named Spitsbergen by William Barents, a western European man who had discovered it. The name Spitsbergen means “pointed mountains”. 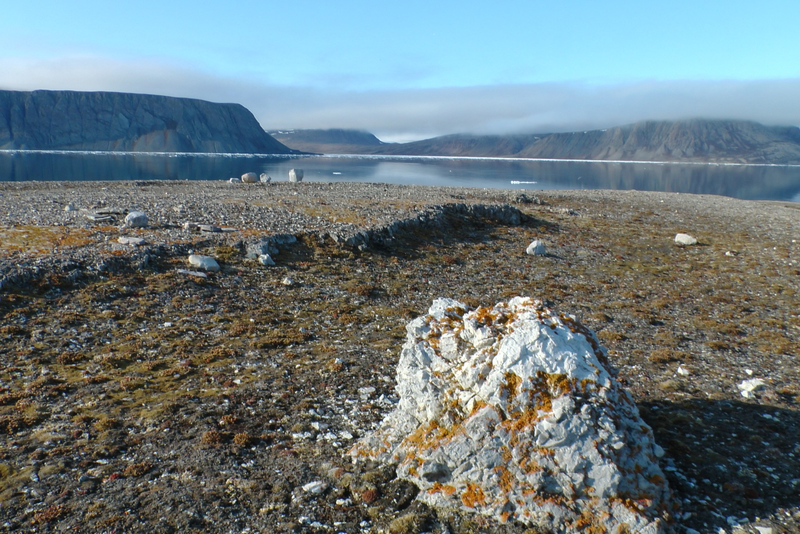 Most of its surface (about 60%) is covered with glaciers, nearly 10% is tundra, and the rest is rocks and mountains. However, some Western European maps of that time used the name, “Holy Russian Islands”. This name, as well as some fragmentary information about an Orthodox Monastery that was probably located there, can be explained by the numerous crosses placed there by the Pomors. They used to set crosses as beacons on rocks, islands and capes. Some of them remain intact to this day. One can see a similar cross when landing on a Russian island in Hinlopen Strait. The Pomors have made it to last! The cross is made from a large piece of spruce that had been brought in by the ocean, and which has managed to survive, in spite of the severe storms and blizzards that have occurred there for the past several hundred years. Norwegians call the archipelago “Svalbard”, which means “Cold Land”. Russian Pomors — who had been hunting sea animals there and who were the main owners and residents of the archipelago at that time — called it “Grumant” or “Holy Land”. Pomors were frequent visitors on the islands. Every year about 7-10 ships with hunters sailed to Grumant, leaving from Mezen or Onega. They often stayed there for the winter. Some of them were residents, like Ivan Starostin, whom Norwegians called the King of Svalbard. The great Arctic explorer Adolf Nordenskjold named Cape Starostin in the Isfjorden after him. His house and tomb are on that cape as well. Nearly a hundred Pomor settlements, with rich archaeological finds, were discovered on the islands. Wood and metal are well-preserved there, thanks to local climatic conditions. Admittedly, the Pomors and Vikings had already discovered the archipelago in the 12th century. According to Russian sources, the Pomors — who had the opportunity of ice-navigation — did it 80 years earlier. The representatives of Starostin, well-known among grumanlans, kindly insisted that their forefathers had been sailing to Grumant before the Solovetsky Monastery was founded, which means it took place before the year 1435. Lomonosov’s father Vasily, as well as his grandfather Dorofey, were experienced grumanlans. Western European hunters were mainly focused on whaling, and occasionally they came ashore there. In the 16th century, the Danish-Dutch colony of Smerenburg was started on Amsterdam Island, in the northern part of the archipelago. Its population was about 200 people. But the settlement went into a decline after a conflict involving the Dutch, the Danish, and Basque pirates. The remains of fat-melting furnaces are still on the desert shore of the island. There are ruins of hangar across the strait. A Swedish engineer, Salomon Andree, constructed his balloon in that very hangar. He tried to reach the North Pole, but the attempt ended tragically. It is an interesting fact that the first successful expedition to the North Pole started not far from here, in New-Alesund — the northernmost settlement in the world. It is hard to tell why pre-revolutionary Russian authorities didn’t take advantage of discovering the archipelago, by arranging permanent colonies there. Suggestions of that kind had been made several times. It probably would have been no harder than organizing settlements on Novaya Zemlya (“New Land”), the icy islands Russia currently owns in the arctic ocean. The distance from Kola to Spitsbergen is no farther than from Arkhangelsk to Novaya Zemlya. In fact, the accessibility is even better. The reason for Russia’s inactivity there, is likely the same as its reason for the renunciation of Alaska – natural resources for traditional hunting had been exhausted, and these settlements had so far been generally unprofitable. Nevertheless, at the same time, the Royal government was already freely funding scientific projects. Hey Buddy!, I found this information for you: "Holy Russian Islands in the Norwegian North – Unveiling the Island of Spitzbergen". 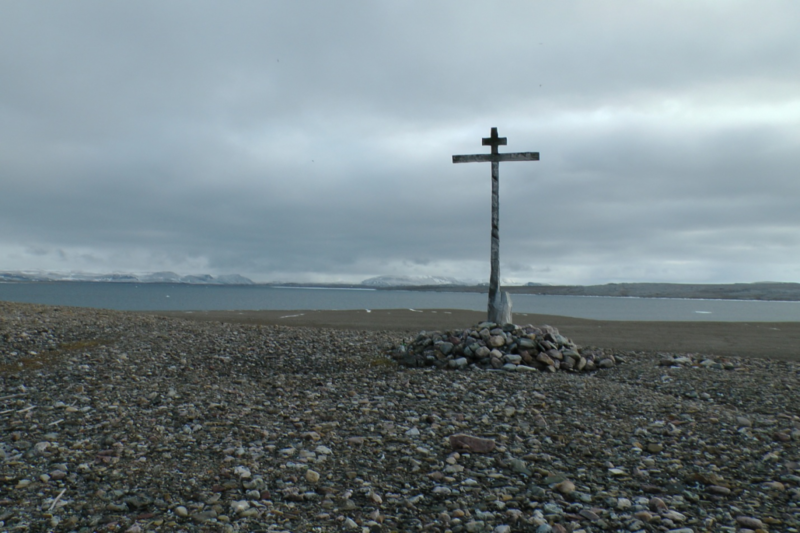 Here is the website link: https://russophile.org/holy-russian-islands-in-the-norwegian-north-unveiling-the-island-of-spitzbergen/. Thank you.